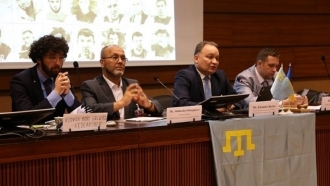 The attempt of barbaric destruction of the cultural and historical heritage of the Crimean Tatar people was made in Simferopol again. 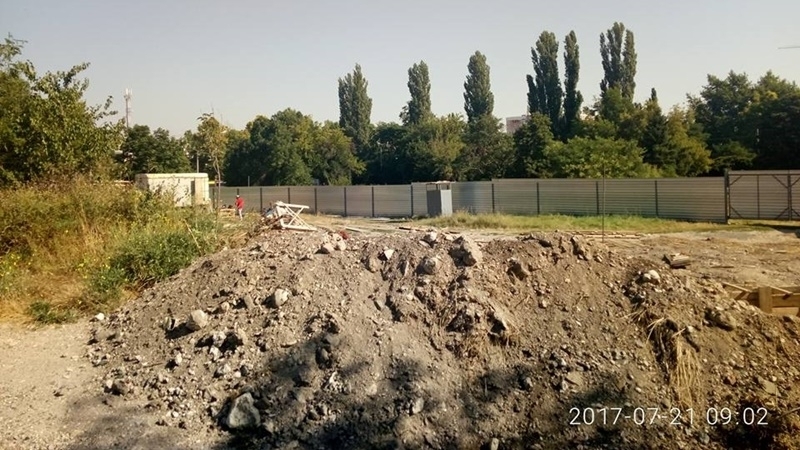 Construction work resumed again in Vorovsky Street in Simferopol, where the Kalga Sultan's palace and mosque were located at the time of the Crimean Khanate, residents of this district reported in social networks. Crimean Tatar national movement activist Zair Smedlyaev also confirmed this information and posted a link to the corresponding photos on Facebook. “Unknown people began construction there: they dig the foundation, fill with concrete, and fenced off the area. In general, it is a historical territory and excavation was planned there”, - Smedlyaev noted. Historians confirm that the medieval Kalga-Sultan palace complex and the 15-th century mosque were located on the construction site earlier. Attempts to build up the territory of the former Kalga Sultan's palace were made more than once, but they were always stopped in time. In particular, the beginning of construction was stopped on this site in April 2015 last time. Earlier QHA reported about the Nemtsov Foundation document. The report states that the Crimea “actually becomes an extralegal territory”, the indigenous population is squeezed out of the peninsula through political and criminal persecution, abductions, and discrimination on ethnic grounds.